Off the East Coast of Australia there is a wee island called Gabo. It is roughly where the coastline stops being mostly East/West, and in turn becomes North/South. Water and wind usually run hard here, more often than not they won't be in the same direction, either, which is why the acronym took the name so seriously. Got A Bit On. There has been a lot of activity of late, and trainspotters would have noticed that last week's newsletter did not go out. Apologies, but it does mean that this week we are sort of providing a bumper issue. 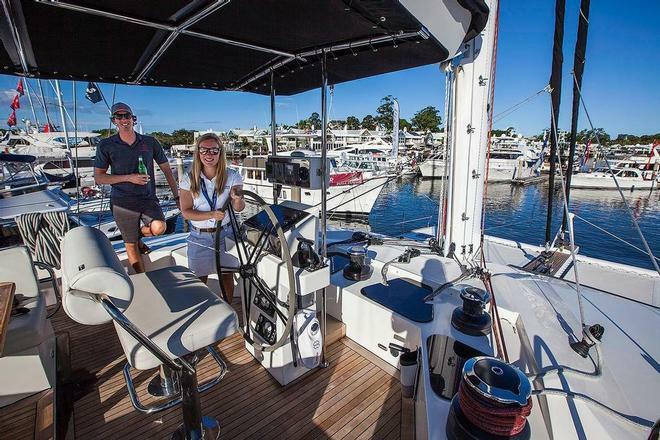 And to make it big, we'll be taking a really close look at the Sunreef 60 cat, which was at the Sanctuary Cove International Boat Show, and welcomed us aboard. For the record, this is a big cat, which kind of makes it a lot like having your own little island. “Sunreefs are ocean performers, and will do eight knots uphill at 35 degrees and then march off up to 16 when off the wind, and with the spinnaker deployed. 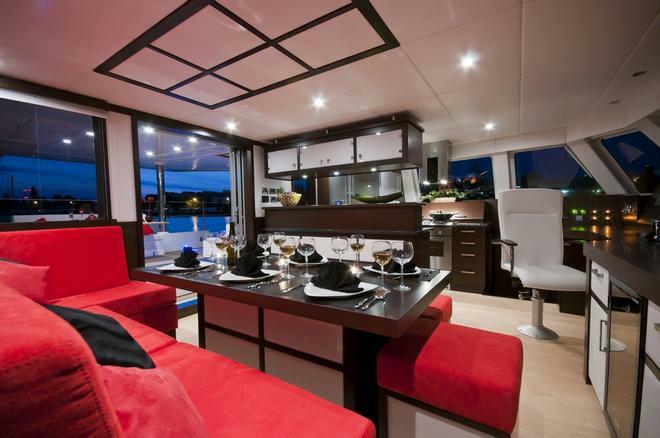 The Sunreef DNA is luxury performance, and those sorts of numbers ratify that. 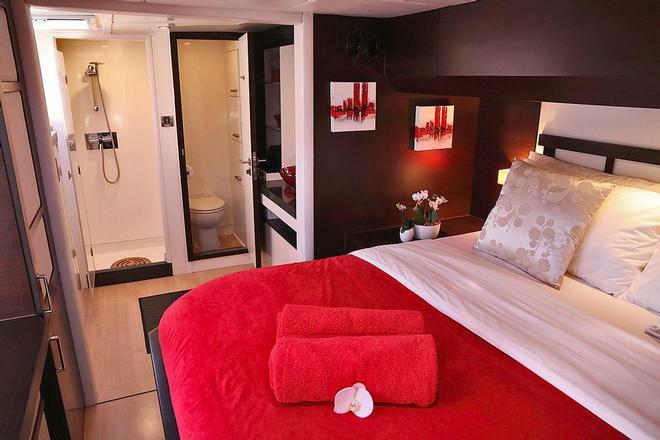 Narrower hulls, carbon mast sections and booms are all part of the programme.” Indeed the spaces are grand, for sure, but not stupendous, and you sleep athwartships on raised island beds, where there is more space to be had. It is also important to note that whilst the carbon rig section is utterly huge, it is spreaderless. Designed by multihull racing experts, it allows for less weight up top, and in a seaway, that means less pitching. The canoe boom (with lazy jacks) is also very impressive, and it swallows the square-top, fully battened and two-reef mainsail. 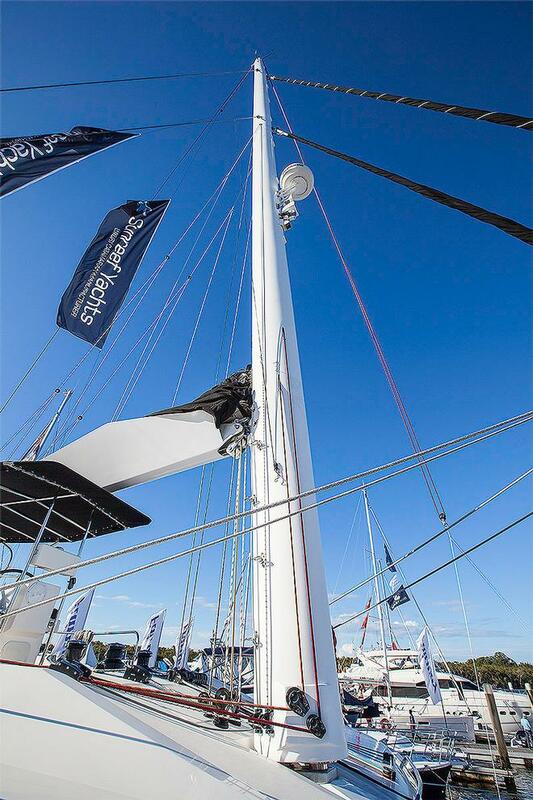 You can also opt for in-boom furling if you choose. 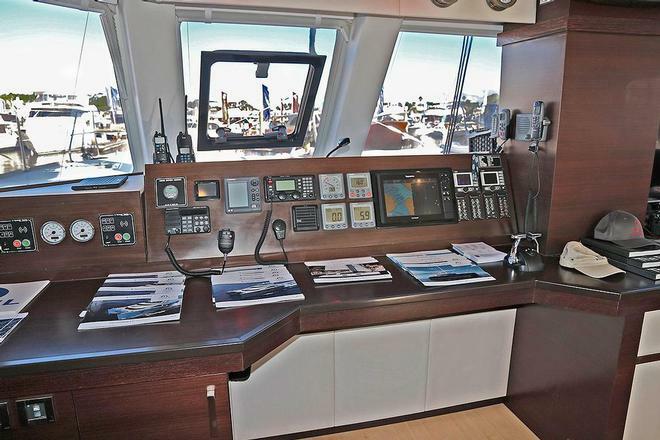 “This keeps the ease of sailing, and doing so shorthanded, front and centre. All in all it offers up the power to handle her mass, and still make her feel like a true sailing cat. In other words the people sailing her can still also enjoy the whole experience as they get about seeing the globe”, said Ashley-Jones. “People can see that this is not prêt e porter, and so it really means starting with a blank canvas. It is not a tick the box scenario at all. It is done in conjunction with your stylist or designer. Finally, pride of build means all the team are behind getting your project to your exacting standards. They are as luxurious as they are well made.” The Sunreef 60 starts at about $2.2m and presently you will have to wait until April/May 2018 to get your hands on one. OK. 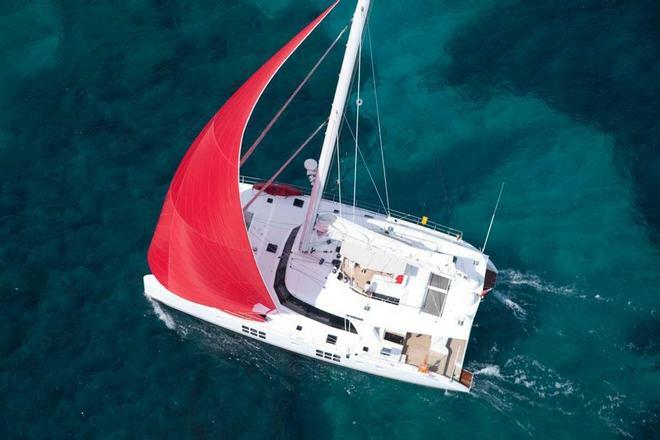 In this newsletter you will find that we have tales for you about North Sails' new 3Di NORDAC, the many interesting developments at Sail Exchange, the Race for Water, Tahiti, lifejackets and immersion, ARC World, Portugal and Europe, Dutch canals, the Caribbean, the Great Barrier Reef, Hamilton Island, the Gulf Stream, practical tips, Sawlty Dog, plastic, training and courses, rescues, as well as much more.